Updates to Tate's profile since your last visit are highlighted in yellow. 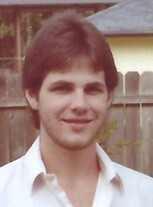 Graduated from Lamar with a BS Degree in 1988 and moved to Houston the same year. I have worked in the industrial process control automation industry for the last 20 years. I married in 1994 and have never looked back. I didn't have kids until I was almost 30 so I am way behind most of you in the child raising department but life is good. I have a lot more patience now that I am older. Most of them are not fit to write down and I would never confess to them at this point in my life. It's best my kids never here some of those stories. I look back at all of the crazy things I did and it's a miracle I am alive and even more of a miracle I turned out as I have. Oh but there were many good times that I have never forgotten and many old friends I may have lost touch with but will never forget. Tate Cunningham has a birthday today. 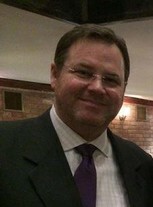 Tate Cunningham updated profile. View. Tate Cunningham changed profile picture. 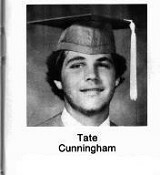 Tate Cunningham changed "Then" picture. 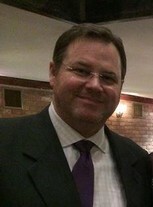 Tate Cunningham joined via Class Connection Facebook app.